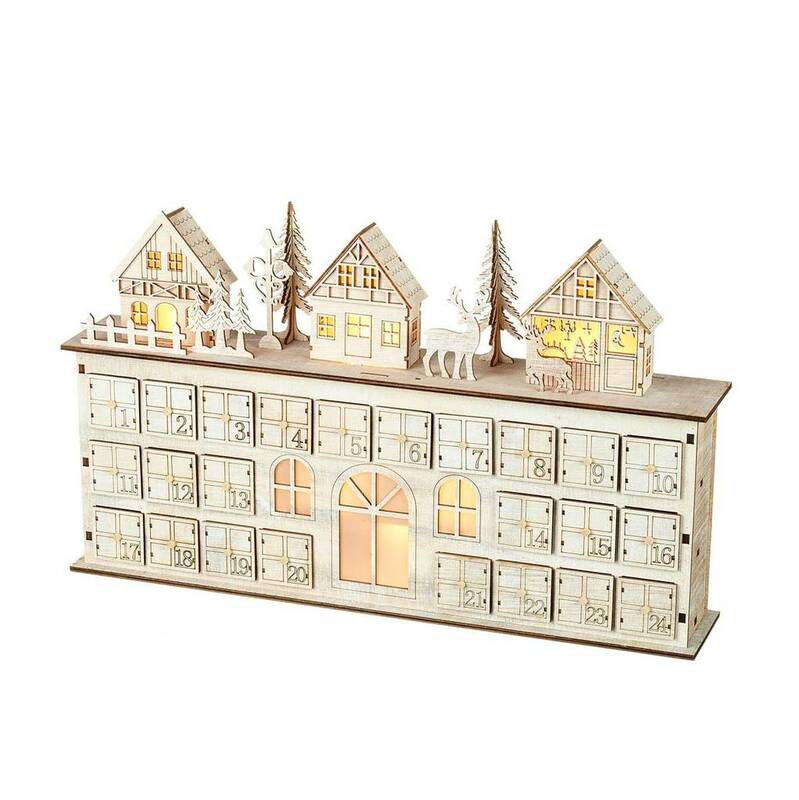 Large natural wooden advent calendar with LED light up village. 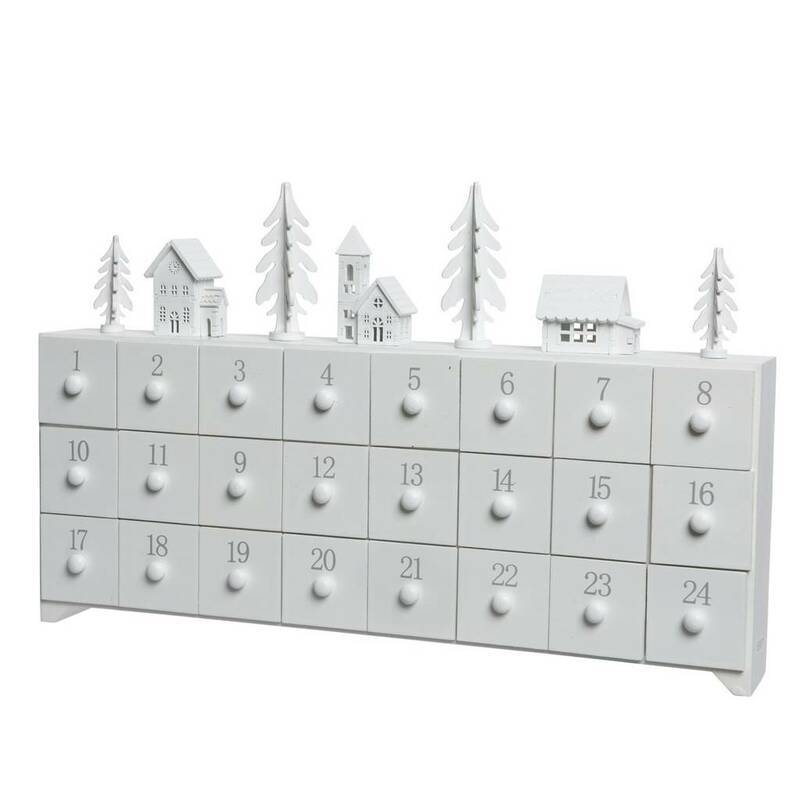 This gorgeous advent calendar features 24 wooden drawers with an etched number and windowpane detail. Each drawer is perfect for personalised small treats and gifts for both adults and children. 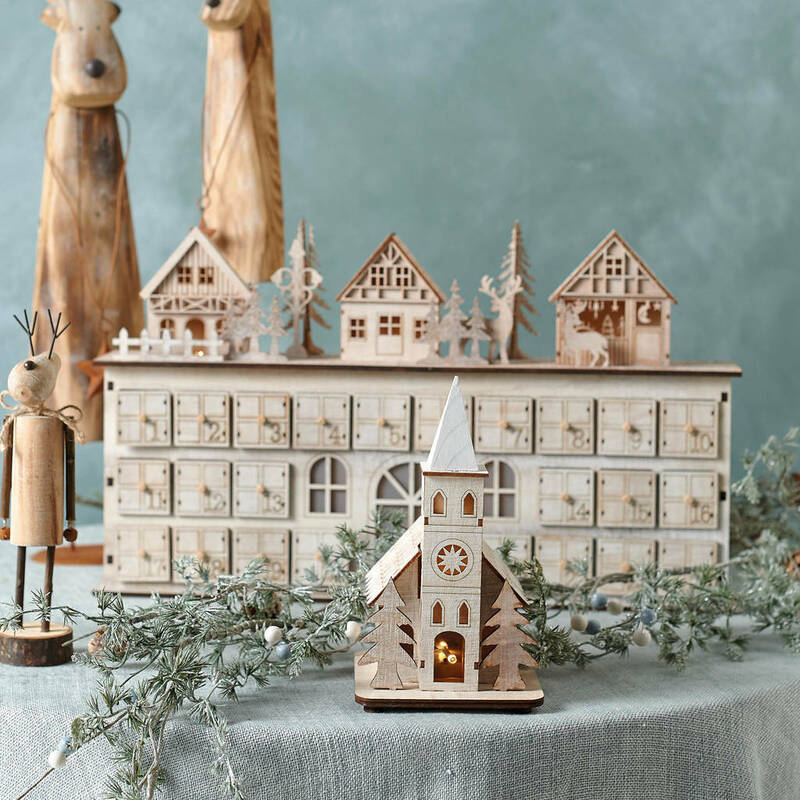 The top of the advent calendar features 3 light up houses, a scattering of alpine trees and 2 reindeer. 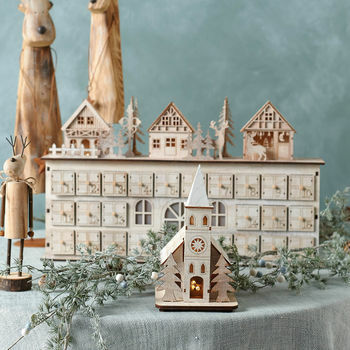 Each house is lit with a tiny LED light to create a wintry evening scene. 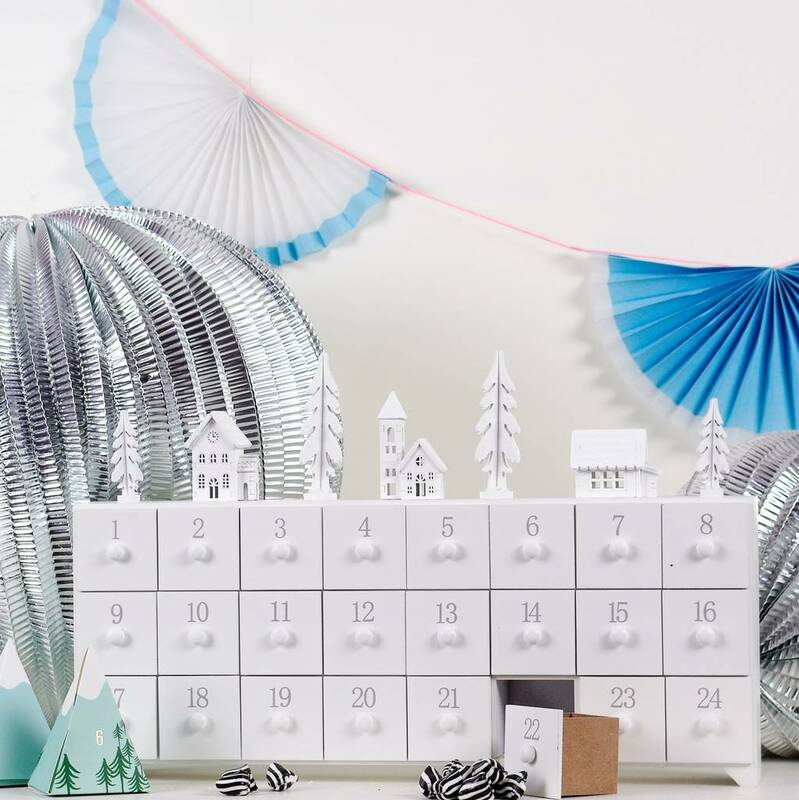 We also have a white painted version of this white is unlit and has silver numbers. Available to add in the options. Please note that these are very intricately handmade and there may some irregularities which are part of their charm.